Invu by Nuvo™ is an investigational, medical grade device designed for remote pregnancy monitoring. The patented technology is designed to detect signals including fetal heart rate, maternal heart rate, and uterine activity creating a comprehensive digital dashboard. The platform is designed for in-clinic and at home use. 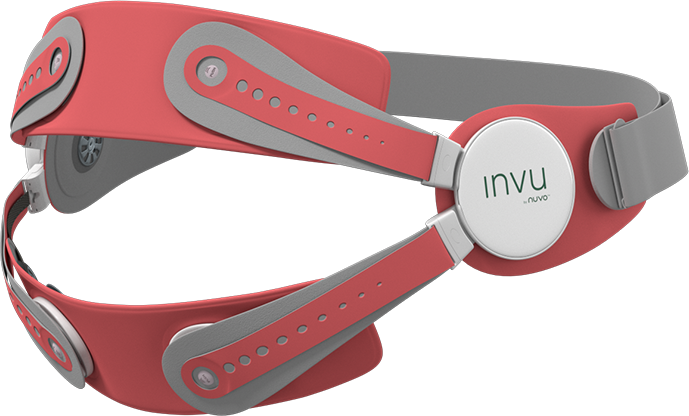 The Invu Sensor Band™ is lightweight and easy to use. It is designed for accuracy, reliability and uses passive technology for safety. Invu by Nuvo™ is enabled by cloud-based data capture and management. 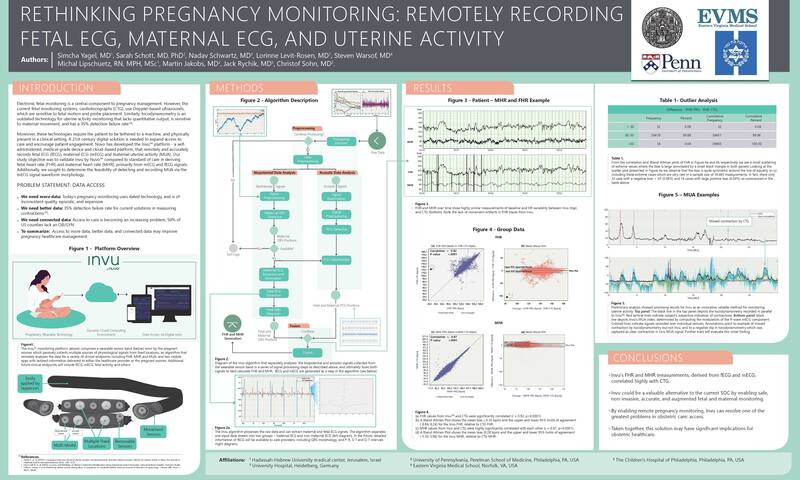 Digital signal processing and proprietary algorithms analyze data, allowing you to observe changes and evaluate trends that inform decisions about each pregnancy. Clinician dashboard enables health care professionals to access patient vitals for timely decision-making. Parent-facing app serves as a digital bridge to doctors, empowering parents with insights into the development of their unborn child. NuvoTM is pioneering a new remote monitoring platform. The future of pregnancy care combines our patented wearable device, dynamic cloud-based data capture, and knowledge-sharing across multiple access points. *FDA pre-market submission pending. Not yet available for sale in the U.S.
We are conducting a multisite pivotal trial with approximately 200 subjects, capturing cardiotocography (CTG) for both maternal and fetal heart rates. 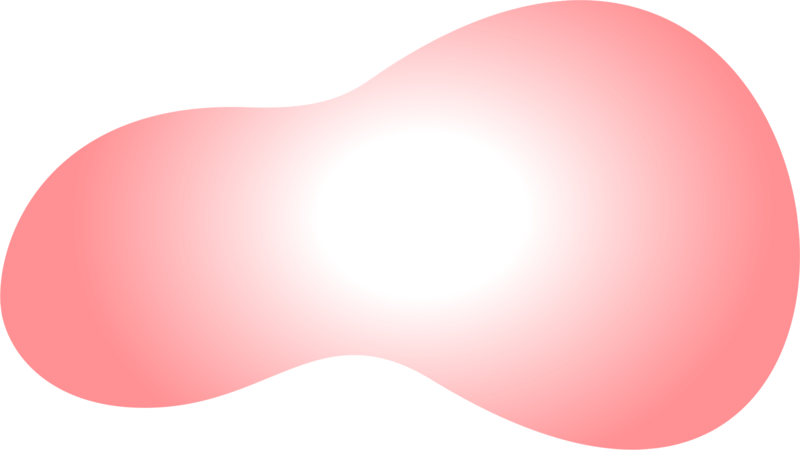 All data were captured with passive technology. Sign up for product updates, investment opportunities, or partnership opportunities.